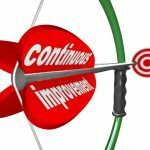 From time to time, shmula interviews companies that are disruptive 1, simple, and yet elegantly meets an unarticulated but dire customer need. Today, we are speaking with Gauri Nanda, the inventor of Clocky and founder of nandahome.com. Nanda, Tell us about yourself. I have been designing products for a few years now, since I was a student at the MIT Media Lab researching the intersection of design and technology. Because of all the interest surrounding him, Clocky gave me the drive to start a company. Since graduating, I founded Nanda as a place to find things that are missing from our lives and create them. Our ideas come from ordinary questions like ‘Why does my alarm do such a terrible job of getting me up?’ and ‘Why can’t I find a bag that makes it easy to carry my heavy laptop around?’ Then, from these ordinary questions, we set out to create extraordinary products. Things that are at once both simple and exceptional. Clocky is, quite simply, the most obvious way I could think to get out of bed. He is an alarm clock that runs away when you don’t get out of bed on time. He will jump from your night-stand and run around the run in random directions. Because you don’t know where he’ll end up, you have to get out of bed, and find him to silence his alarm. In this ‘hide-and-seek’ game, you wake up in the process! What is the Alarm Clock Problem? When I was a student, I would hit the snooze bar repeatedly, never realizing how late it was getting. I had friends who told me that they would put the alarm clock on the other side of the room, but because they knew where it was, they would just sleep walk to it, turn it off and go right back to bed. 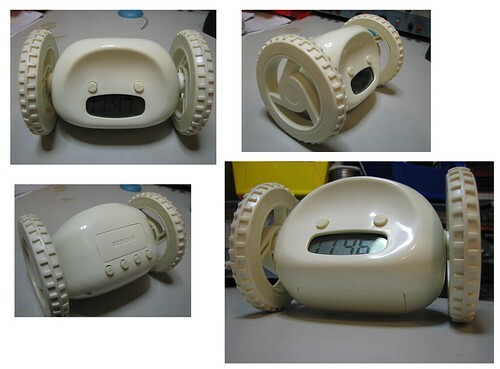 As a designer, it was obvious that the alarm clock needed to be improved, both in functionality and in personality. 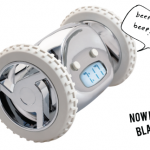 In addition to doing the job of an alarm clock better, Clocky is also an attempt to imbue alarm clocks with living qualities so that it is ultimately more fun to use. Did you study people sleeping? Can you share a little about the ethnographic steps to observing people sleeping and waking up — what insights did you gain? How did those insights evolve into your solution, Clocky? During the development time, we received countless emails from people who needed a better solution than their current alarm clock was providing. Over and over, I heard the same story of people repeatedly hitting the snooze button and never reaching a wakeful state. During the design process, we tested the product out with potential customers and made changes to the program as well as the interface (including buttons and backlight) to ensure better usability. It was very important to me to maintain a minumum of user interface controls so that anyone could use the clock almost immediately. Past the concept phase, tell us about the product development process and the iterations Clocky went through to finally arrive at the current version. For example, the Clocky prototype was much bigger than the current version — what led to that design decision? The original prototype took me a couple of weeks. It was put together with the materials I had at my disposal while I was a student at the MIT Media Lab, and turned out to be little more than a pair of Lego wheels and motors and a shag covering to hold it together. At this time, I wasn’t optimizing Clocky for size and efficiency, but rather just creating a proof-of-concept for a class project. In order to get Clocky ready for commercial sale, I worked with a team of engineers and manufacturers on the design for about a year. We went through about 3 design iterations on the external casing. We didn’t want Clocky to take up too much room on a night-stand so we reduced the size considerably. We also wanted Clocky to be much lighter, since it was to withstand a drop to floor everyday. Through a lot of engineering and testing, we identified the parts of the clock that would endure the most shock when Clocky jumps off of a night-stand. We designed those parts so that the force would be directed away from them. Material sourcing and manufacturing — can you share about your experience in that arena. The original prototype I put together quite quickly using limited materials I had at my disposal. The shag was used to emphasize Clocky as something with living quality. In a manufacturing context, materials are chosen that are durable and easy to work with. I decided to retain the living quality of Clocky by arranging the buttons and the LCD screen in such a way to describe a face. We compared and contrasted various strong and shock absorbing materials. For example, for Clockies wheels, we needed a material that would bounce back and not wear too much over time because the body should not hit the ground when he falls. We tested out several different customers for this purpose. How long has Clocky been in the market now? Clocky has a (funny/cool) factor to it. Do people really like using it? Do people laugh or curse at it when they wake up? Tell us about that. Clocky was launched right around the holidays. If had quite a lot of good feedback: “Just talked to my daughter – She was thrilled with her first morning with Clocky! She said it woke her up smiling and then she was giggling as she chased it around her room and downright laughing by the time she turned it off! By then she was wide awake and ready for her 8AM Bioengineering Class!” “My daughter is presently at Dartmouth. She’s the master of the snooze alarm. When home, she can go for hours with the alarm going off, hitting the snooze button, and probably not waking up at all. When I saw the info about Clocky on line, I immediately ordered one to be shipped to her at college. It’s been a week after Clocky’s arrival, and already I have success to report. For example, she got up today in time to go to a job interview, which went well. She reported having to find Clocky behind the refrigerator. It Works!” Certainly, a lot of people may purchase Clocky because they think he’s funny or just out of curiosity. I think it’s great if people just get a good laugh out of Clocky. I hope that Clocky enables a new way of thinking about the things we use every-day. The buzz surrounding the product may be attributed to the fact that Clocky attempts to humanize technology and make it more personable, a concept which I believe could be applied to many products that we use on a daily basis so that they become more usable. Why is there a Snooze Button? Can I program it to travel to where my Gym Clothes are, so that when I finally find it and turn it off, I have no excuse but to work out because I’m where my clothes are at? Well I sort of felt (and a lot of people agreed), that a person should have some time to get up, and have a chance to turn off the alarm before Clocky runs away. So we allow for one snooze. If the person using Clocky is alert as soon a they hear the alarm, the may opt to disable to snooze button. We found that Clocky does not need to employ sensor technology to do his job. He may bump into objects on the floor or hit a wall, but because he is programmed to change directions a few times, he will usually get ‘unstuck.’ We have a couple more versions of Clocky in R&D. Future versions of the clock will employ more sophisticated technology to achieve some exciting features we have planned. We envision an entire Clocky product line. Where can people buy Clocky? Clocky is currently only available for purchase online at nandahome.com. We will be announcing select retail availability soon. What is next for Clocky? What other projects are you currently working on? What problems are trying to solve through innovative product development? We have a line of ‘Lapsacs’ out now, which are bags with laptops in mind. The idea was to reinvent the common black laptop case into something more stylish and more comfortable for carrying around a heavy computer. Much like Clocky, the Lapsacs came out of what I observed to be a common need. 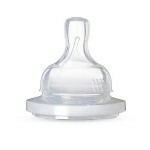 We have other products in R&D which I can’t disclose yet! 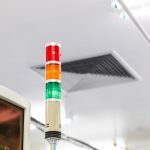 Andon System: What Does It Tell You?